Happy Thanksgiving week to you! Are you ready? Since we are beach gypsies we are generally on the road for most holidays but I still love to check out all the fun decorative ideas out there. For beach enthusiasts I absolutely love this small sand dollar with the simple message of grace. 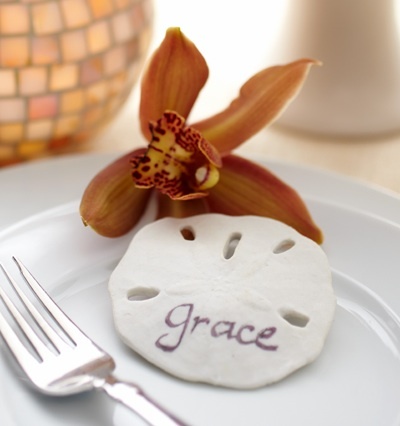 But I bet this was a place card for a guest named Grace! Either way, a sweet idea. Of course if I were to ever host a Thanksgiving it would be a coastal inspired one, so at the very least I can start preparing for that event by collecting ideas. I found a great site called celebrations.com that is full of creativity and DIYs. I am going to take this week off from the blogosphere to enjoy time with family and also to hopefully catch up with my life, this fall has been a busy one! Wishing you a wonderful and warm Thanksgiving! So pretty. Love the roses in the seashell. It was terribly cold here yesterday. My daughter and I discovered something very helpful for when your throat is sore and your feeling icky. Put Thyme essential oil in a room humidifier while you are sleeping. I swear you will wake up feeling 100% better. Have a wonderful time, Laura! What lovely inspirations you run across, Laura. 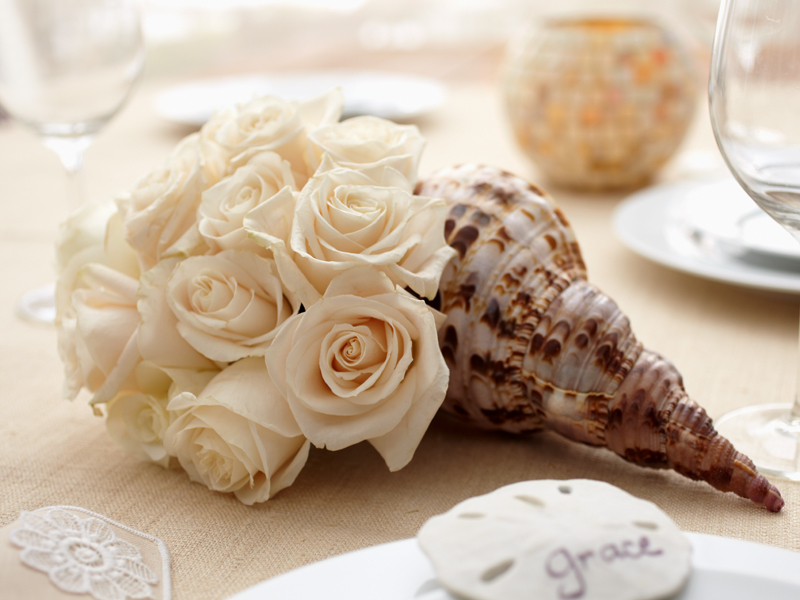 The sand dollar place card and shell flower holder are nice for any special occasion. We rarely do a traditional Thanksgiving, since we were abroad so long- we did cook a feast last year, our first holiday back in the US. We're sitting out this one, as J will be working. Happy Thanksgiving. Hope you have an amazing holiday weekend. Hope you had a lovely Thanksgiving. What a lovely photo and you have a gorgeous blog! Beautiful!! A wonderful weekend to you as well!